IN this ebook the author has tried to combine the trade information which he has gained in his avocation, the study of precious stones, with the scientific knowledge bearing thereon, which his vocation, the teaching of chemistry, has compelled him to master. In planning and in writing the book, every effort has been made to teach the fundamental principles and methods in use for identifying precious stones, in as natural an order as possible. 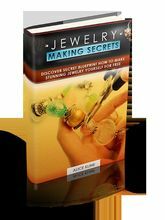 This has been done in the belief that the necessary information will thus be much more readily acquired by the busy gem merchant or jeweler than would have been the case had the material been arranged in the usual systematic order. The latter is of advantage for quick reference after the fundamentals of the subject have been mastered. It is hoped, however, that the method of presentation used in this book will make easy the acquisition of a knowledge of gemology and that many who have been deterred from studying the subject by a feeling that the difficulties due to their lack of scientific training were insurmountable, will find that they can learn all the science that is really necessary, as they proceed. To that end the discussions have been given in as untechnical language as possible and homely illustrations have in many cases been provided. Nearly every portion of the subject that a gem merchant needs to know has been considered and there is provided for the interested public much material which will enable them to be more intelligent purchasers of gem-set jewelry, as well as more appreciative lovers of Nature's wonderful mineral masterpieces. 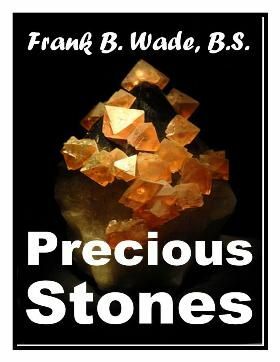 IN this ebook the author has tried to combine the trade information which he has gained in his avocation, the study of precious stones, with the scientific knowledge bearing thereon, which his vocation, the teaching of chemistry, has compelled him to master.